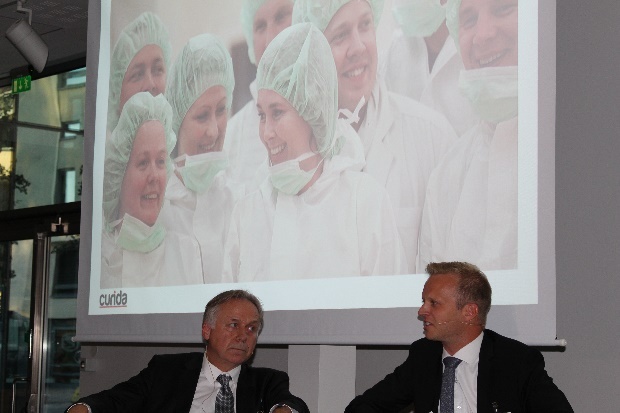 On Tuesday August 22nd, Leif Rune Skymoen, CEO of Curida, gave a lecture and participated in a panel debate at the Confederation of Norwegian Enterprise (NHO) Annual Ambassador Dinner. Mr Skymoen discussed how Norway could build a significant life science industry and the importance of access to key markets like the European Economic Area. 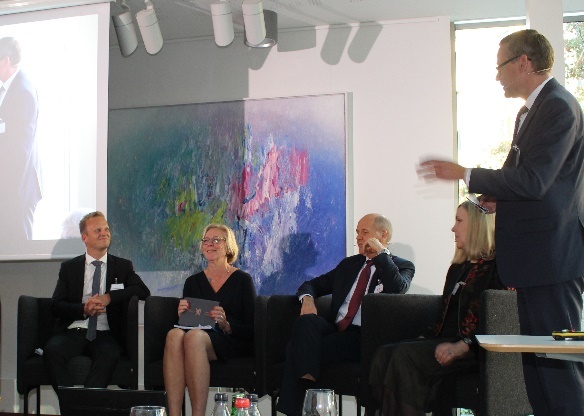 Other members of the panel were Frank Bakke-Jensen (Norwegian EEA/EU Minister), Sigve Brekke (President and CEO of Telenor), Helge Skaara, (Norwegian Ambassodor, Spain) and Else Berit Eikeland (Norwegian Ambassador, Ireland). The Ambassador Dinner is a yearly event organized by NHO to stimulate increased interaction between Norwegian companies and Norwegian Foreign Services.